Previous incarnations of the Shelby GT500 haven’t lacked for power, but things weren’t quite up to snuff in the handling department. The transition to a fully independent rear suspension helped in that department, and we’ve seen just how capable the GT350 can be. 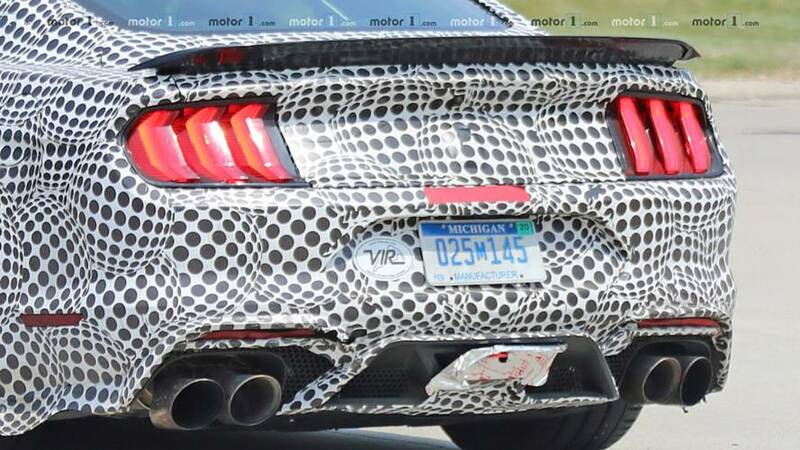 The latest spy shots of Ford’s forthcoming muscular Pony car show what appears to be a track-pack style rear spoiler, suggesting the newest GT500 could be destined for more than quarter-mile conquering. The theory is further supported by a curious sticker on the rear fascia next to the license plate that reads VIR. It, of course, references Virginia International Raceway, a challenging road course at which Ford set a lap record in its Ford GT back in January. That record was then thwarted by the Corvette ZR1 just days later. Furthermore, Chevrolet has been making waves with the track prowess of its range-topping Camaro ZL1 1LE. 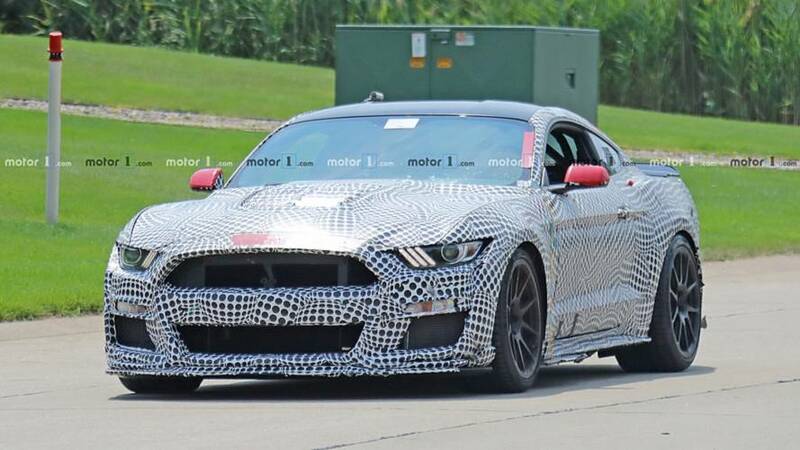 Could Ford be dropping an Easter egg about the new GT500's on-track capability? Based on the rumors and reports we’ve heard on the new GT500 so far, there’s certainly reason to believe it could. 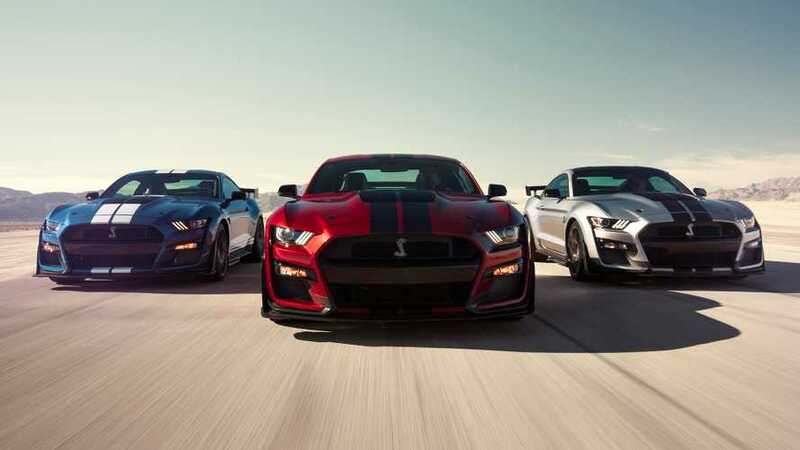 Earlier this year Ford confirmed the Shelby would have over 700 horsepower (522 kilowatts), which easily eclipses the 650 hp (485 kW) found in the Mustang’s direct competitor, the Camaro ZL1. Whether it will approach the 755 hp (563 kW) found in the Corvette ZR1 is unknown, but it’s not out of the question. 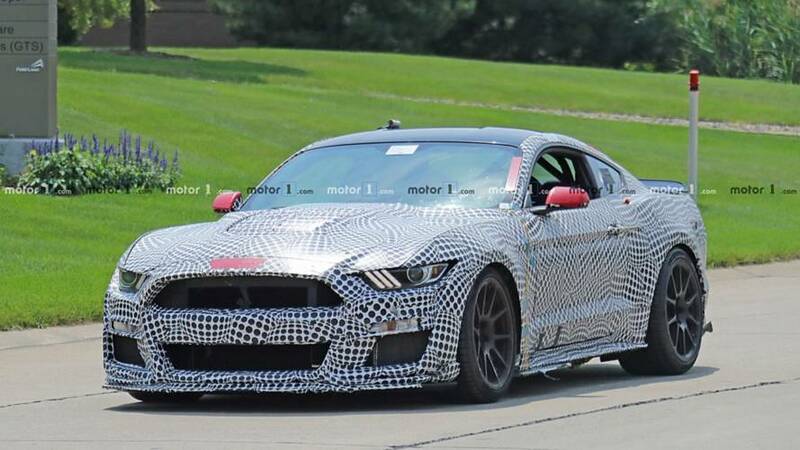 Power is expected to come from a 5.2-liter flat-plane-crank V8 not unlike the mill in the GT350, only boosted significantly with a supercharger. Whereas previous GT500s were exclusively manually shifted cars, the new model should feature a dual-clutch gearbox. It will naturally wear tweaked front and rear fascias, and we expect to see some carbon fiber components to help reduce weight. We’ve seen quite a few prototypes out and about that haven’t been camera shy, and that usually means a reveal is getting close. Expect Ford to debut the new GT500 later this year, either as a 2019 or 2020 model.